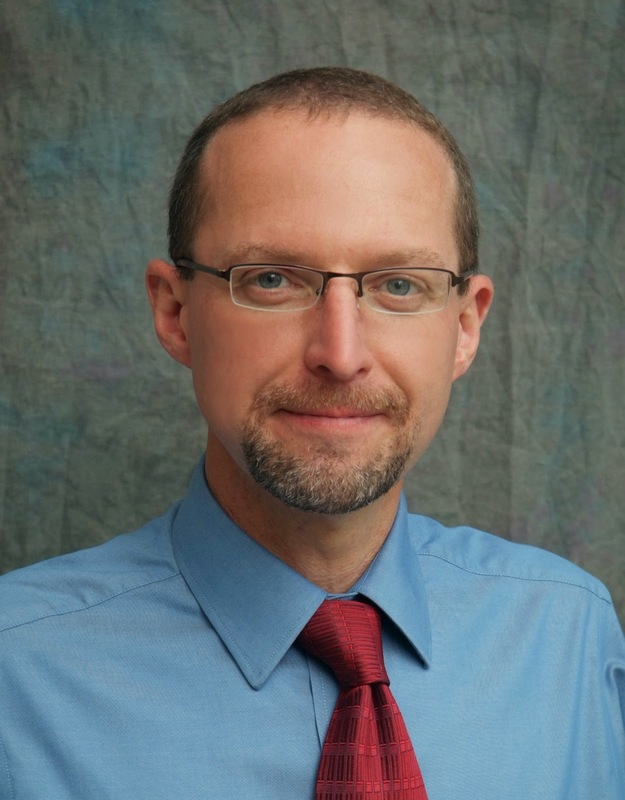 How valuable is The American Prize in Piano Performance to those who participate? We have received unsolicited emails from several laureates we are proud to share. In the welter of media "noise" every day, it is sometimes difficult for artists to get the recognition they so clearly deserve: we are pleased that the value of The American Prize is getting through, even after only one year. "I thank you for the objectives of your organization in encouraging many fine artists in their development. I am very thankful for the honor of The American Prize and am grateful for your continued support of excellence in music across this nation....Through The American Prize, your...efforts to encourage excellence in the arts at all levels nationally remain inspirational as a model of generosity, expressing the very soul of art." "I am so thrilled to have been a part of this competition and all the wonderful opportunities it offers to its finalists and winners. I'm delighted to have my picture on your website and to have won third place in the Concerto Performance Category in the Professional Division. I definitely saw the press release that the Concord Monitor, our local newspaper, ran in August concerning my award and I appreciate this recognition so very much. It is wonderfully helpful to me both as a performer and music teacher. I've received so many congratulations from friends and acquaintances. I've tried to explain to them how The American Prize is a new and wonderful award opportunity for artists who've been laboring in relative obscurity for years to have their performances listened to and adjudicated by highly qualified judges and to give those performers professional recognition that is just invaluable and is so very affirming. It's so helpful to my musical career to have all this great support and recognition. It is just a wonderful idea! We are all so very grateful." "you've created a new type of art music competition. Fantastic!" The American Prize is unique. A non-profit organization that focuses on recognizing and rewarding artists solely based on their recorded performances, contestants avoid the hassle and expense of traveling to competitions. Our distinguished panel of nationally recognized judges provides every contestant, from finalist to winner, with unbiased written evaluations. With no age limits and few repertoire restrictions and separate divisions for professional, college/university, high school and amateur artists, we assist artists in building careers, audiences and visibility. 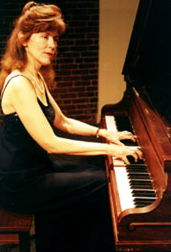 The postmark deadline for The American Prize in Piano Performance, 2012, which includes separate competitions in solo performance and in concerto, is Monday, January 23, 2012. Visit the The American Prize website for complete information, application forms, bios and photos of past winners, and more. Some additional questions from composers. 1. Does the composer retain all rights to his/her music if he applies (or wins)? Without question. The composer relinquishes no rights whatsoever. We only ask to publish photos and bios of runners-up and winners, which may be posted to our website and blog. We do expect The American Prize channel on YouTube to go live this season and hope to post excerpts of winning compositions on the site, but only with the permission of the composer. (Sometimes, union rules or other contracted limitations prevent this from being possible.) The composer makes the final call. 2. In the choral contest, is there any limitation to the number of choral works that may be submitted to fill 30 minutes on the tape? May the recordings be by different ensembles? There is no limit to the number of pieces represented within the 30 minutes, and no restrictions on the number or type of groups performing them, provided they are all identified. The focus in the composition contests is on the works themselves, rather on the performers, though of course, the performances that do the best justice to the music (in the opinion of the composer) are the ones to send. 3. Whose links get selected for the NEWS highlights on your Facebook page? Practically every week, The American Prize shares news links from competition laureates on our Facebook page, including the latest information from individual performing artists, ensembles and composers. The links help to highlight some of the many different ways contestants have shared their success in the competitions, as well as focusing on their ongoing achievements. To submit a link of your own, or if you have additional questions, simply email theamericanprize@gmail.com. 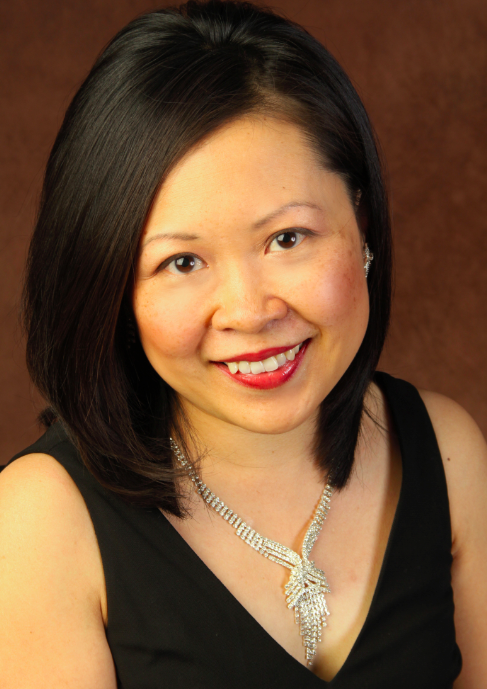 Here are some answers to a few questions we have received from classical vocalists about The American Prize in Vocal Performance, which has a postmark deadline of Monday, January 23, 2012. 1. Are mezzo-sopranos prohibited from applying for the Chicago Opera Award? The CHICAGO OPERA AWARD is a special opportunity in 2012. In addition to the national competitions of The American Prize listed on the website in opera/operetta and in art song, three $500 prizes will be awarded as performance fees to opera soloists selected to appear under Maestro David Katz's baton in concert with the Chicago Bar Association Symphony Orchestra & Chorus in May 2012. The Chicago Opera Award is geared primarily to those who live within comfortable travel distance of Chicago and can make their own housing arrangements. The selection process for the Chicago Opera Award is separate from The American Prize judging. Winning one competition does not preclude the possibility of winning the other. 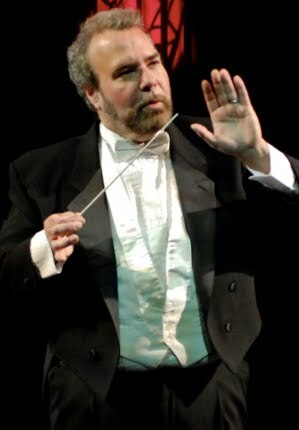 Maestro Katz expects to select the winners of the Chicago Opera Award by March 1, 2012. For more information about this opportunity, please follow this LINK to reach the application form and the specific webpage, which includes additional important information about the Chicago Opera Award. 2. The American Prize competition honors the memory of Friedrich Schorr, who was a great Wagner singer. I don't sing Wagner. Isn't that really what you are looking for? The American Prize seeks to recognize and reward the finest vocalists in America at professional, college/university and amateur levels through the evaluation of your recorded performances. Wagner singers have no special advantage nor disadvantage: we seek excellence in any repertoire and at all levels of endeavor. 3. I don't live in the US and my recordings were made elsewhere. May I still apply? Yes. The competitions of The American Prize are open to all U.S. citizens, whether living in this country or abroad, and to others currently living, working and/or studying in the United States of America, its protectorates and territories. You need not prepare a special tape for The American Prize. A previous recording, whether of a performance made in front of an audience or one created in a recording session without an audience, is perfectly acceptable. Neither the location nor the repertoire of any qualified individual limits eligibility, provided the general guidelines have been met. Excellence within categories is the primary criteria for the selection of finalists and winners. 4. Who gets to be selected for The American Prize Winning Links? 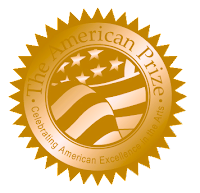 The American Prize Winning Links is our new blog devoted to links of winners, runners-up, finalists and semi-finalists for The American Prize. Use the site to see some of the many different ways contestants have shared their success in the competitions, or to learn more about The American Prize laureates. We will update the site regularly, and will include 2012 laureates, when selected. To submit a link or if you have additional questions, simply email theamericanprize@gmail.com. The New World Singers, winner in 2010 of The American Prize in Choral Performance in the youth choir division, performs at the White House in Washington, D.C. on Tuesday morning. 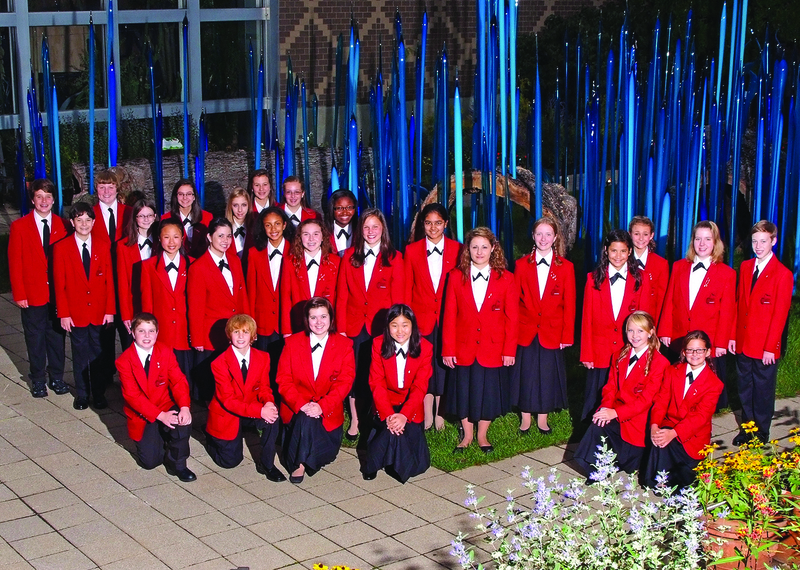 The New World Singers is the top ensemble of the Columbus and Central Ohio Children’s Chorus Foundation, Sandra Mathias, conductor, formed as a non-profit foundation in 1995. “Dr. Mara Gross, the choir's managing director, said the group officially was contacted in September by the (White House’s) Social Affairs office. "It's unique because groups usually request to sing but they got the call to go there," said Susan Hankinson, (parent.) "It's an honor, and to be there at Christmastime is exciting. I know it will be a wonderful experience for the kids..."
The New World Singers has toured in the U.S., Russia, Eastern Europe, and Canada. 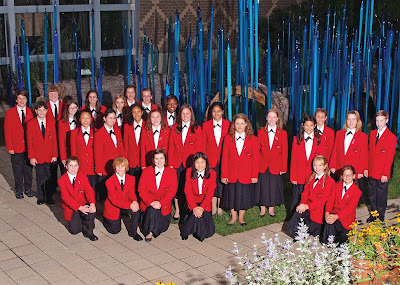 They have performed with the National Repertory Orchestra, Chautauqua Symphony, and the Columbus Symphony Orchestra. New! PRIZE-WINNING LINKS site now LIVE! We are very excited to announce that a new blog has joined our family of The American Prize websites. The American Prize Winning Links, is now live, featuring 2011 laureates of our piano, composition, and vocal competitions. WINNING LINKS features websites and news stories from winners, runners-up and finalists for The American Prize. Use the new site to track how others share their success in the competitions, or to learn more about some of The American Prize laureates. Whether semi-finalist, finalist or winner, participants in The American Prize are utilizing their success in the contests to bolster careers, build resumes and improve visibility. Q: Why must composers send recordings? Why don't you just accept the scores? And why not mp3 or other online files? As for recordings sent via the internet, not everyone has exceptional audio playback on their computers, but most musicians have excellent systems to listen to cds and dvds. Internet connections are not yet all created equal—some are prone to failure, others may be exceptionally slow. Besides, there is something tangible about a recording in the hand. Having a physical recording requires a commitment to the act of audition; it requires the musician to say "now I will focus on listening to this new work by Composer X," an act which still feels very different from clicking on an MP3 link. Likewise, printed scores. Of course many composers have their music available as PDFs, but speaking as a conductor, I like to have the score open before me: I like to easily turn the pages, turn back quickly, check a fact, confirm a hunch, observe on the printed page the geography of the work. 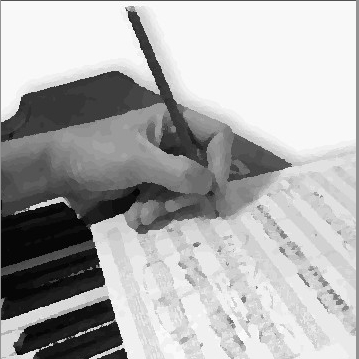 Music is far easier to read on paper than on a computer screen, where the monitor may be too small to see the whole page, or too small to read the notes.